The truth is that I tried to delay as much as possible the review for the new album of the Strokes. This is because I expected that eventually, after many repetitions and I would find the "magic moment" of the record. But nowhere. Let's take things from the start. 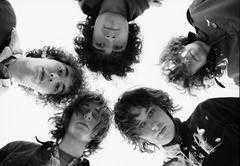 The Strokes are something of a group. I loved them by This is it (2001), which is undoubtedly one of the best albums of the '00s and set the tone for the next decade. The period it was released, it came to give an air of renewal in (tired then) indie scene which after brit pop time, was trying to find the next big band, the next fresh sound, the next Oasis and Blur. Next: 2 very good albums: Room on fire (2003) and First impressions on earth (2006). The road, of course, was downward as no album became as loved as This is it. Despite that, none was bad or even mediocre. All had something to give despite that some "static" attitude can be noticed. Someone could argue that the band tries to emulate the success of their first album without evolving. The evolution is rather something inevitable. Moreover when the band is apart for 4 years, most members chasing solo careers and the recording studio could be something like rehab. This is music. Year by year, album by album the bands and musicians change. Some times of course for the worse. In every interview of course, Julian Casablancas was trying to bring us to reality admitting to any journalist who met him that the reunions take place for the money and the proposals accepted by the band were too tempting to refuse. And somewhere here we have Angles. The band enters the studio somewhere in September to record the new album. Wrong. 4/5 of the band enter the studio all except Julian (yes the singer of the band!) as he doesn't want tot deign to make recordings along with the rest, being in tour to promote his personal staff (and as we learned later) he wants to give room to the other members to assist artistically in creating songs. So he records the songs separately and sends his voice via email (!!!) in the studio where the rest of the group is working. The first recordings were so bad that they decide not to include them in the new album and in that point they change producer. Despite that, after 4 years and so many difficulties, they manage and release their 4th album! 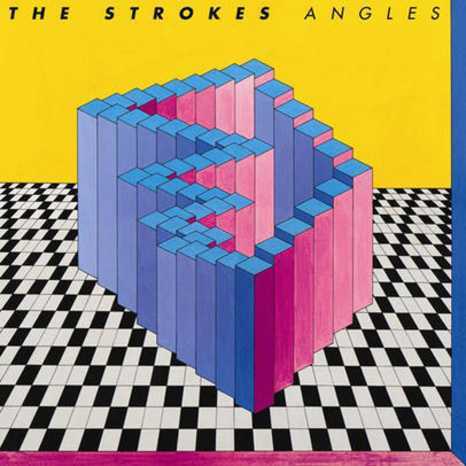 The album closes with the Life is Simple In The Moonlight, one piece at a slow pace which reminds us of the good old Strokes in some moments and is the most interesting track on the disc. The sound of the album, although not radically different from their previous works have enough silly pop influences from the 80's but without specific direction or cohesion, draft. The result looks like a whole album is characterized by indifference as mediocre. Indifferent (and boring) if we consider that it is released by the Strokes, though modest if we focus purely on the songs, individually, little good (nostalgic) moments somehow save the situation. After all that I think a band like the Strokes are a shame to release an album like this. I'll close with a quote I read recently. Someone said "one day the bands toured to advertise their new album album. Nowadays they release new albums to advertise the tours". This is precisely the Angles. An album to hear the Strokes, to play their songs in the radio to remind the people their concerts there before. I hope in the fifth album (if and when released) to hear the actual Strokes, the band that can change our mood with a song.